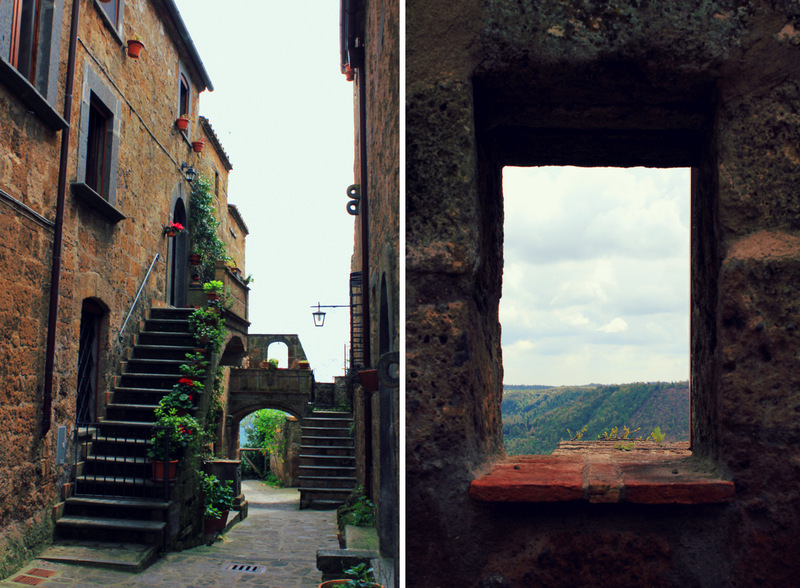 Perched on a crumbling plateau in the Etruscan countryside, Civita di Bagnoregio is a town made romantic in its doom. For centuries, the city has been sliding into the valley below– a very slow and dramatic death. I couldn’t help but wonder what it must be like for the psyches of the less than a dozen remaining residents to live in a place so precariously near its demise. And yet, the city remains strikingly beautiful and the sun still warms the stone. Walk the lone remaining street and gaze through doorways that lead nowhere. Grab a glass of wine. 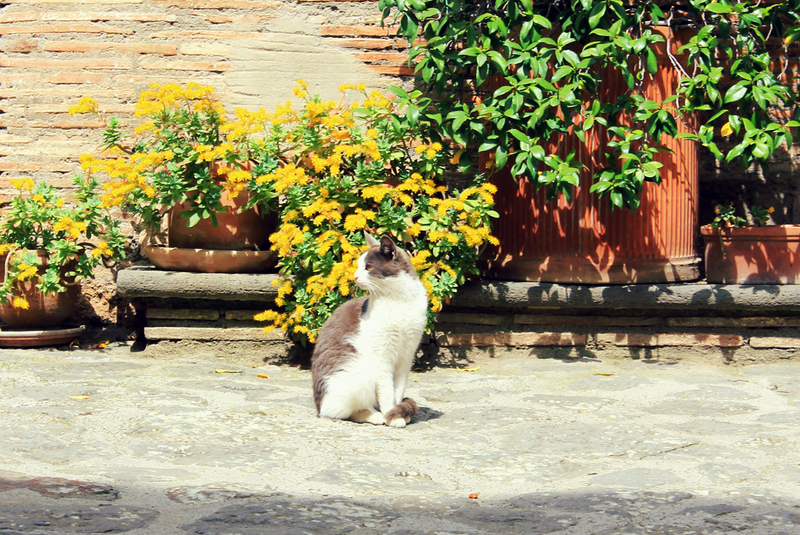 Pet the numerous cats who lounge throughout, smug harbingers of the inevitable.